For married couples, estate planning documents are usually prepared under the assumption that a spouse will be an integral part of the plan. When a couple divorces, the objectives usually change, but updating the estate plan to reflect these changes is sometimes overlooked. Fortunately, Pennsylvania’s probate code contains numerous provisions to remedy this situation. 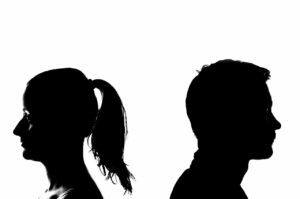 Still, the probate code takes a back seat to the divorce code if the couple is not actually divorced but one party to the divorce proceeding dies after grounds for divorce have been established. Under these circumstances, the economic rights and obligations of each spouse are determined under the divorce code, rather than the probate code. Since the notion of your estate plan being reinterpreted after your death may seem a little unsettling, it makes sense to try to understand exactly what’s at stake. For starters, what happens if you don’t have a will to begin with? Under Pennsylvania law, if you’re happily married and die without a will (aka, intestacy), your spouse is entitled to a share of your estate, and possibly as much as the entire estate if your parents are deceased and you don’t have any children. On the other hand, if you weren’t so happily married, Pennsylvania law describes the circumstances under which your surviving spouse might forfeit the share to which she would otherwise be entitled. If, for example, your spouse had willfully neglected and deserted you for a period of one year prior to your death, then your spouse forfeits her intestate share. Likewise, your spouse forfeits her intestate share if grounds for divorce have been established under the relevant section of the divorce code, even if no decree of divorce has been entered. But what about the case where you do have a will? Most couples use their wills to leave their entire estate to the surviving spouse. But suppose the relationship has begun to falter and one spouse disinherits the other spouse by changing the will to leave everything to the children. In an effort to protect disinherited spouses, Pennsylvania, like most states, has a law that entitles the surviving spouse to elect against the will of the deceased spouse and to claim a share of his estate. Protecting the rights of a disinherited spouse makes perfect sense, but as in the case of intestacy, Pennsylvania law provides an exception to the right of election if certain conditions are met. These conditions turn out to be identical to those noted above. That is, if the deceased spouse died during the course of divorce proceedings and no decree of divorce has been entered but grounds have been established, then the surviving spouse will not be able to claim her elective share. This does not mean that the surviving spouse is not entitled to a share of the estate; it simply means that her share will be determined under the divorce code and not the probate code. Perhaps a more common situation is where the deceased spouse has not disinherited the surviving spouse in his will but the marriage is broken and the couple is in the process of getting divorced. Pennsylvania law provides that any language in the will that favors the surviving spouse (e.g., a gift, appointment as fiduciary, etc.) will be ineffective if—that’s right, you guessed it—the deceased spouse died during the course of divorce proceedings and grounds for divorce have been established, even if no decree of divorce has been entered. But Pennsylvania law goes further and extends this restriction to any revocable conveyance (such as a revocable trust) that would take effect upon the decedent’s death. If such a conveyance would favor or relate to the surviving spouse, it will be ineffective if grounds for divorce have been established. And of course, if the couple is in fact divorced, the relevant provisions under the deceased spouse’s will or revocable conveyance that favor the surviving spouse will again be ineffective. But suppose the deceased spouse actually wanted the surviving spouse to receive the benefit described in the will other conveyance? The Pennsylvania statute addresses this possibility as well. So long as it appears from the governing document that the relevant provision was intended to survive the divorce, the provision will stand. Of course, there are other forms of property that are not disposed of by the will, such as life insurance and retirement plans. The disposition of these assets is controlled by beneficiary designation. But what happens if the policy or account owner dies after the couple has filed for divorce and the surviving spouse is still named as the designated beneficiary? If grounds for divorce have been established, or if the couple is in fact divorced, Pennsylvania law provides that the designation becomes ineffective for all purposes and the spouse is treated as having predeceased the deceased plan owner. However, this rule does contain some important exceptions. For example, the designation will remain effective if it appears that it was intended to survive divorce based on (1) the wording of the designation, (2) a court order, (3) a written contract between the spouses, or (4) if the designation itself was executed after a decree of divorce had been entered. In addition, with respect to qualified retirement plans, the Pennsylvania statute may be preempted by ERISA, meaning that the original beneficiary designation will remain valid. Again, it is important to understand that these statutory overrides in the probate code do not prevent the surviving spouse from receiving property. Rather, the surviving spouse’s economic rights and obligations are simply determined in the context of her divorce and not as a result of the account owner’s death. Divorce also has consequences for other estate planning documents. For example, where one spouse has named the other as agent or representative under a power of attorney, that designation is automatically revoked if either spouse files for divorce. This is the case for financial, healthcare, and mental health powers of attorney. Likewise, if an individual has not prepared a healthcare power of attorney, the spouse of such individual is normally given first priority to act as healthcare representative, but that is not the case if an action for divorce is pending. On the other hand, as is true with a gift under a will, the designation of agent under financial, healthcare, and mental health powers of attorney will stand if it is clear from the document that the designation was intended to survive divorce. Despite best efforts to provide reasonable solutions to the problems that arise when divorce interferes with an estate plan, the Pennsylvania statutes do leave room for interpretation. Not surprisingly then, a number of nuanced issues not addressed by statute have been resolved by the courts, though not always in the manner one might expect. Therefore, the best practice, other than simply surviving the divorce, is to make your intentions clear by updating your estate plan and beneficiary designations immediately after a decree of divorce has been entered or, better yet, as soon as grounds for divorce have been established. DISCLAIMER: This article is for educational purposes only and is not intended as a substitute for legal advice. Individual situations differ greatly and must be evaluated thoroughly. Contact us for legal advice specific to your circumstances.